The possible molecular mechanisms regulating strawberry fruit ripening were revealed by plant hormone quantification, exogenous hormone application, and RNA-sequencing. Fruit ripening involves a complex interplay among plant hormones. Strawberry is a model for studies on non-climacteric fruit ripening. However, the knowledge on how plant hormones are involved in strawberry ripening is still limited. To understand hormonal actions in the ripening process, we performed genome-wide transcriptome and hormonal analysis for the five major hormones (abscisic acid and catabolites, auxins, cytokinins, gibberellins, and ethylene) in achenes and receptacles (flesh) at different ripening stages of the woodland strawberry Fragaria vesca. Our results demonstrate that the pre-turning stage (a stage with white flesh and red achenes defined in this study) is the transition stage from immature to ripe fruits. The combinatorial analyses of hormone content, transcriptome data, and exogenous hormone treatment indicate that auxin is synthesized predominantly in achenes, while abscisic acid (ABA), bioactive free base cytokinins, gibberellins, and ethylene are mainly produced in receptacles. Furthermore, gibberellin may delay ripening, while ethylene and cytokinin are likely involved at later stages of the ripening process. Our results also provide additional evidence that ABA promotes ripening, while auxin delays it. 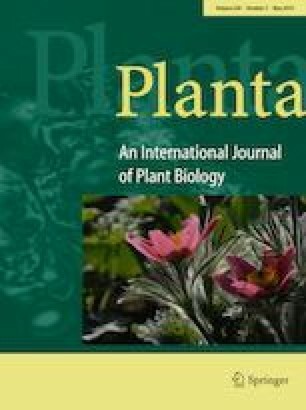 Although our hormone analysis demonstrates that the total auxin in receptacles remains relatively low and unchanged during ripening, our experimental evidence further indicates that ABA likely enhances expression of the endoplasmic reticulum-localized auxin efflux carrier PIN-LIKES, which may subsequently reduce the auxin level in nucleus. This study provides a global picture for hormonal regulation of non-climacteric strawberry fruit ripening and also evidence for a possible mechanism of ABA and auxin interaction in the ripening process. Tingting Gu and Shufen Jia contributed equally to this paper. Yi Li holds a two month/year visiting professor position at Nanjing Agricultural University. The online version of this article ( https://doi.org/10.1007/s00425-019-03155-w) contains supplementary material, which is available to authorized users. We thank Dr. Yang Yuan and Decai Liu for technical support for the bioinformatic analysis. This work was supported by the National Natural Science Foundation of China [31672123 to T.G., 31471860 to J.D.] and the Fundamental Research Funds for the Central Universities [KYZ201605 to T.G. ].